Lack of time is a real issue for any lawyer. 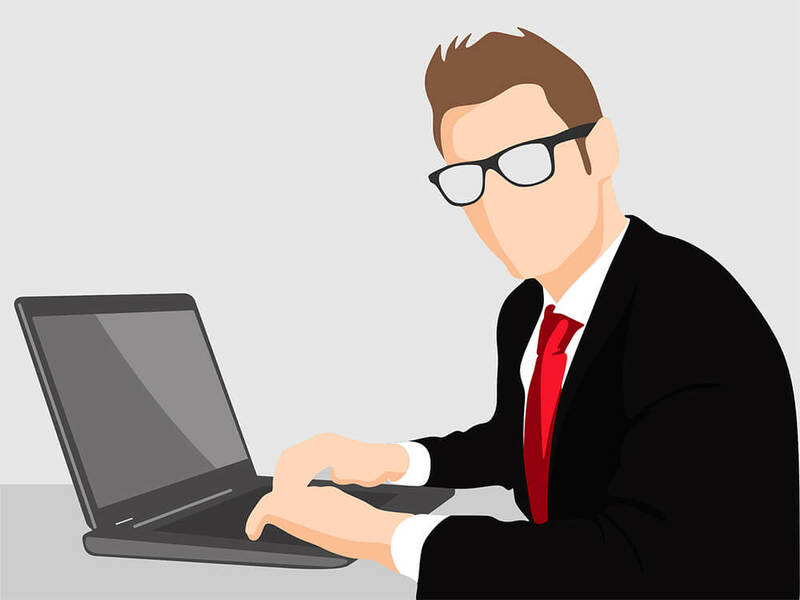 Lawyers pack their schedules and any extra time available often goes toward preparation for the next day.What lawyer can honestly say they have time to blog in between meetings, court dates, litigation, new clients, and so on? A legal practice simply does not allow for the extra time and commitment to write marketing blogs. We're going to let you in on a little secret. Most lawyers do not write their blogs. That's right.  A firm generally hires a third-party marketing agency that specializes in legal SEOto prepare and manage the law firm marketing blog. Outsourcing means you can ask an agency to put your legal thoughts in writing while you are taking care of legal matters. Pro tip: Delegate the writing and management of your blog to digital marketing professionals. They can run your law firm marketing blog at a fraction of what it would cost your firm to give up client time to write an article. Limit your involvement to that of requesting specific topics and signing off on the legal correctness of each blog. Lawyer’s blogs are serious business. With topics such as personal injury, labor and employment, and divorce, there’s no room to joke around. However, some lawyers take seriousness one step too far when they write for their blogs. Specifically, they fail to keep their target audience in mind and, instead, write as one professional lawyer to another. Remember the primary purpose of your blog is to attract clients who see your articles as a sign of expertise. Using legal language with terms such as “hereby” or “shall” that you don’t usually hear out on the streets can alienate clients who have no legal education. Pro tip: Write to express your ideas in layman’s terms to everyday citizens. Simplify complicated terms and provide explanations of complex legal ideas wherever possible. Use language that is easy to understand and that conveys a sense of approachability. One reason why internet users don't read your blog is simply because they don't know it exists. Internet users don’t typically read something that doesn't pop up in an online search. Every blog needs search engine optimization (SEO) with the right keywords so that a search engine can find it during a user search. If you are not applying this law firm marketing strategy, then it may be true that nobody reads your law firm blog. Fixing this issue is simple if you have a knowledge of SEO or if you outsource your optimization to a reputable company. Pro tip: Make sure that every article you publish uses the appropriate SEO for lawyers blog. Keep in mind that it takes three to four months before SEO strategies start to move you up the rankings, so do not give up too soon. A reputable SEO company can help you set up the necessary optimizations to improve your blog ranking on the internet. It also frees you from having to learn the complexities of search engine optimization. Why blogging for lawyers is a necessary thing to do? Content is the key to achieving a higher ranking on search engines, such as Google. Search engines pay more attention to sites that publish quality content regularly. However, not just any content will do. It must be well-researched quality content that is well written and exclusive to your website. Good content is one of the top three factors that influence your website ranking. Search engines exist to respond to search queries with the most relevant information available. Therefore, they reward sites with better, newer and original content. Pro tip: If you want to get the attention of search engines, then you need to post a new blog once a week, or at least bi-monthly. Whatever frequency you choose, make sure you remain consistent. Search engines reward consistency too. An SEO professional can help you manage the consistency of your blog post schedule. Useful information attracts readers. If you write it properly then blogging for lawyers attracts the type of visitors you want as clients. If you can impress these prospective clients with the type of information that you offer, then you will have a competitive advantage. Some of these users will decide to buy your services. In that blog, we described the entire personal injury claim procedure step by step. It was a very difficult blog to produce, but it provided lots of value to readers who had difficulty finding that information elsewhere. Pro tip: Do not generalize your blogs. Write about the specific solutions that your future clients could be searching for. For example, "How to claim for worker's compensation in Michigan?" or "What information my lawyer will need during a personal injury lawsuit." Describe the topic in a way that will portray your firm as experts in the field. The more blogs you generate, the more traffic you will attract, and the more business leads you will generate. Keep in mind when blogging for lawyers that internet users search for specific keywords related to the topic they want information on. The more keywords you have on your website, the more chances you have for prospective clients to come across your site. Each time you write a new blog, use several new keywords. This collection of important search terms compounds over the months to improve your overall keyword count and, ultimately, your overall ranking. These discoveries gave us great blog points to write about, which we included in the article. By answering such questions, we provided extra value to our readers and helped attract new business for our client. By the way, check law office of Yuriy Moshes case study to learn how we increased their blog organic traffic over 20-fold within the first 6 months. Regardless of the keywords, you use for each blog post, remember to write quality content centered around the keywords you use. Write content in an “evergreen” manner, using information that will continue to be applicable in the years to come. In addition to offering new visitors value that won’t diminish over time, such content also gives the visitors you gain from a single blog post an incentive to revisit your site in the future because they see it as a source of expertise. Pro tip: Do not just use generic keywords in your firm's content. 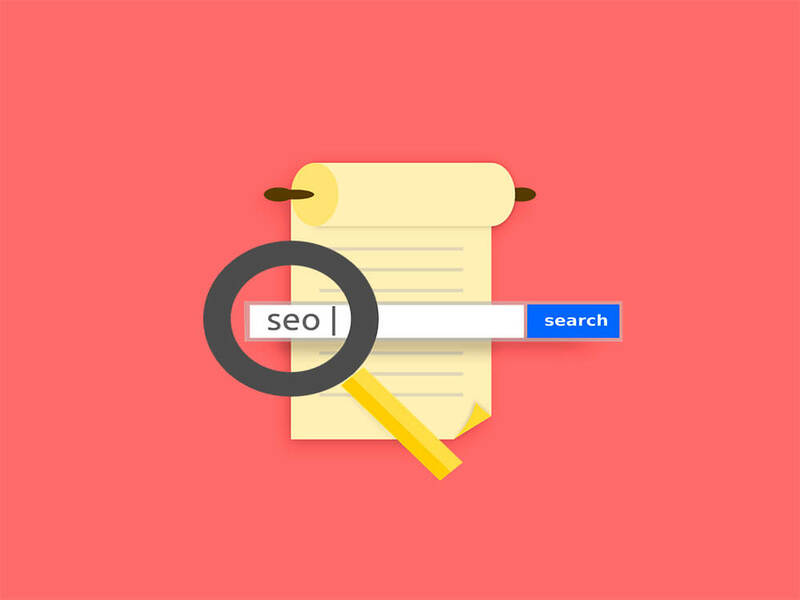 Use a niche keyword tool like SEMrush to determine the most popular niche keywords that potential clients include in a search.A niche keyword is one that uses a long tail of words that describe your services. For example, instead of just using the keyword "lawyer," use the long-tail keywords "medical malpractice lawyer" or "personal injury lawyer in Florida. "The more specific your keywords, the more effective you will be at attracting the right clients. Writing a blog is like sending a prospective client an invitation to engage with you on a topic that matters to them. Potential clients want to know upfront that you have the knowledge and experience to help them with their legal issue. They also want to feel as if there is already a connection with your firm. One of the best ways to do both is to write your law firm blogs in response to legal questions that a real audience asks every day. There are two ways to establish what these questions are. The first is to compile a list of questions that your current clients ask you during consultations. The second is to investigate the questions that internet users are generally asking a search engine to answer for them. ‍Questions might be something like - How do I choose the best lawyer for my case? 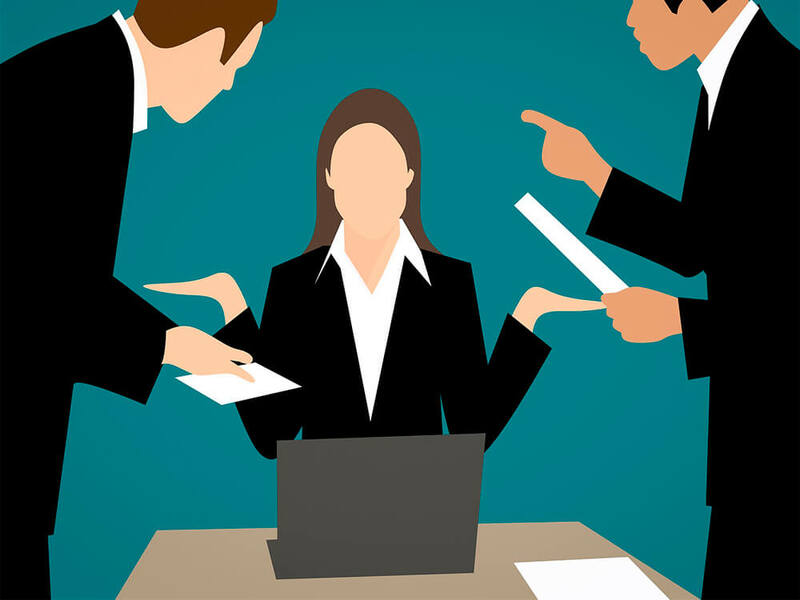 Can I take my boss to court? How does a law firm protect my privacy during a lawsuit? Will I be eligible for unemployment benefits if I was laid off from work? If I voluntarily quit my job, but I had a good reason, will I qualify for unemployment? Can I file a claim if I lost my full-time work but still work part-time? What will the amount of my unemployment benefits be? To answer these questions, we created an FAQ section, providing detailed answers to each question. Because these are real questions that potential law clients would click into a search result for, it drastically increased the probability that our blog would rank higher. It also enhanced the authoritativeness of the blog and helped our client win more business. Pro tip: Don't forget about good website design. Check Key Points Critical to a Law Firm Website Design. Use your preferred search engine to help you identify common questions and use these to choose the titles of your next blog series. Here's how it's done. Open an internet search and type in a typical question that a client could ask. For example: "Can I sue for malpractice in Florida?" If you scroll down to the bottom of the search page, you will find a list of related questions that other users have asked on the same topic. "How long do you have to file a medical malpractice lawsuit in Florida?" 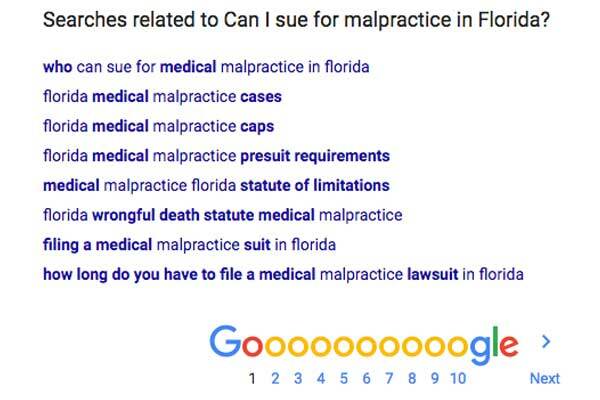 "Who can sue for medical malpractice in Florida?" "What are the Florida medical malpractice pre-trial requirements?" Each of these can be a title for a future legal blog. Choose the questions you like best and pass the list on to your legal blogging expert to do the writing. You will show your clients that you are on top of the legal game when you blog about updates to current legislation. Legal bodies constantly update national or local laws, particularly when it comes to business or financial legislation. If a client doesn't have in-house legal counsel then they will depend on firms, like yours, to help them navigate the legal changes. You cannot only use these changes to bring in new clients but also to improve your search engine rankings. The timing of these blogs is essential. You do not want to blog on the tail end of your competitor's communication spree. Be ready to blog as soon as legislative bodies announce an update to a law. A good blog manager will use a template to gather and prepare information quickly. The power of harnessing this responsiveness to legal developments when blogging for lawyers is exactly what we demonstrated when we wrote a blog post explaining “The New Homeowner Tax Bill.” Because we were able to put out the blog post quickly for our client, their firm got lots of questions asking for clarifications about black spots in the new law. This later led to our client setting up an educational seminar that helped to further cement the vision of expertise among the parties involved. Pro tip: Be very specific in these types of blogs. Tell your audience exactly what has changed in the law and how it affects them. But most of all, show readers that you know what is happening and that you can help navigate them through these changes. A blog can help to communicate your participation in any social, professional, or media event.Readers like to see that you are an active contributor to the social and legal world. Add a link to the written article, the audio recording or the video footage whenever there is an interview with a team member. If team members represent your firm at an event, then post a summary of the event and your firm's involvement. This is also a good opportunity to promote the specific services your firm offers. Being involved in events adds to the record of your trusted expertise. We used this law firm marketing blog tip when one of our client attorneys went on air as a guest on a radio show on “Money Radio Network.” He talked about age discrimination and how to avoid it. We made a recording of the show, posted it on the blog, and marketed it on social media. This helped show that our client was expert enough in that aspect of the law to be invited to talk about it on a widely broadcasted radio show. Pro tip: An event blog is an excellent opportunity to include photos of attendees and the legal team that represented your firm. The photos are a nice touch to introduce a reader to your team members. When you blog about being included in a publication, then provide a link to the article. A blog is a fantastic way to showcase the successes and developments of your firm. Blogs do not only have to inform readers about legal matters, but you can also use them to show that you are proud of what your firm achieves. News blogs can cover anything from an accolade you achieved to your involvement in the local community. These feel-good, celebratory posts help to establish a connection with readers. 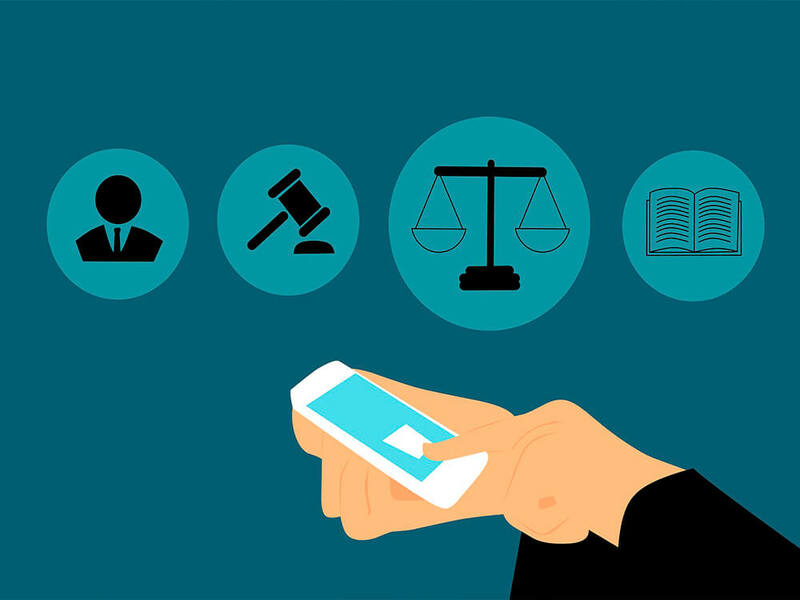 Soft topic blogging for attorneys or lawyers adds a human touch to the very technical world of law. One instance of our use of blogging in this manner involved a client firm who scored nominations as “Superlawyers” for three of their partners. We marketed this to prospective clients through the blog, newsletter, and social media. It offered a great opportunity to remind potential clients that the firm would offer them great value without having to invent a reason. Pro tip: Blog after every legal success and every notable milestone at your firm.This will help to establish your reputation as a professional team on the move. It will also help create an emotional connection with the reader. Do not be afraid to showcase any proof that your firm stands out from the average law firm in the area. Always write these posts with humility and gratitude toward the team and clients that make any news possible. Any client who seeks legal services will want to get the best team behind them from the start. Prospective clients generally do a thorough investigation of various legal options before choosing which firm to approach with their problem. When a firm has a well-established blog containing useful and knowledgeable information, it gives the unmistakable impression that the team is an established authority in the legal market. The more informative the blog content, the greater the impression of legal authority it will create. Pro tip: Make sure prospective clients can see that you are relevant, knowledgeable and up-to-date by placing good content on your blog. You can never have too much information. The law is a complex issue, and there are numerous topics you can cover without the reader feeling overwhelmed by the volume. A library of information on your site will help to establish your credibility and authority in a highly competitive industry. We have spoken about writing your blog with the prospective client in mind, but the truth is that you need to make an impression on three different audiences. Let's speak about impressing the internet user, search engine and yourself. Prospective clients must be the first in mind when you write. You will be writing to attract a broader audience with an interest in law, some of whom will eventually convert to clients. If readers like your law firm blogs, then they will come back for more. A good blog also sets you apart from competitors as being superior in the knowledge and experience of legal solutions. Write every blog so that the information is relevant, up-to-date and SEO optimized to attract the right searches. Do not take shortcuts by borrowing or spinning content. Search engines could destroy your rankings if you use hacks and tricks to try to fool the ranking algorithm. Pro tip: Every blog must be original and based on excellent research so that it contains more than just the average facts on a topic. If you do not have time to write it yourself then choose a writer who will not take shortcuts. The writer must also have the right experience in using SEO to attract the right audience to your firm's website. Search engines, such as Google, love good content. They love good content because internet users love good content. A blog is the best way to provide your website with a regular flow of content. Search engines reward websites that offer relevant, original content regularly. They constantly scan websites, and rank those they know readers can trust. ‍The higher the quality of the content and the accurate the SEO keyword usage, the more guarantee there is that your rankings will improve. Pro tip: Only place content on your site that you know search engines will like. Two techniques can help you rank higher. The first is to use keywords that internet users will likely search for. We call this SEO or Search Engine Optimization. The second is to include links to your page in other trustworthy sources, like news resources or research sites. Search engines also prefer to rank a site that publishes quality content consistently, that has a user-friendly site layout, and that has quick page loading times. Writing an in-depth blog is a great way to grow your own knowledge about a topic. It is quite common to come across a topic that can be broken down into sub-topics so that you can create a series of articles that go into more detail than an average, high-level blog. Although all blogs need to be informative, some can be truly educational - for you and the reader. Pro tip: If you are going to commission the writing of your blog, then you will still learn something by editing and approving the articles. If you outsource then make sure you commission the writing to a writer or company that you can trust to prepare the most up-to-date and factually correct articles. Building a successful blog can be an asset to your law firm when you use the right SEO for your law firm blogs. Results might trickle in slowly at first, but they will compound over time until you have a noticeable improvement in your ranking, leads, and conversions. In short, an investment in a blog will bring you returns that far outweigh the effort. A blog can even become your most powerful marketing tool and replace other more expensive forms of marketing for your firm. To reach this point, you need to be strategic, intentional and consistent in your legal blogging. The best way to do this is to invest in SEO for your lawyer's blog.